. So much for so little on a secluded and wooded 1.17 acre lot, 4 bedrooms, (2 master) 3 1/2 baths, vaulted ceilings in living room, nice kitchen, tv/reading room, 1/2 bath in laundry. 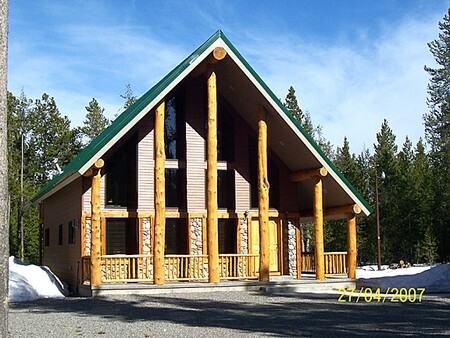 Great floor plan, log beam accents. 2 car detached garage, secluded backyard with fire pit. Year round access.